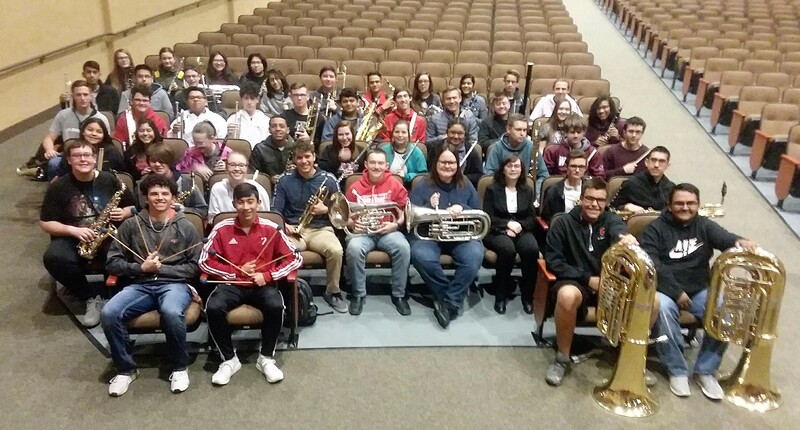 As a result of their performance at this contest, thirty-seven (37) Borger Band members earned the opportunity to represent Borger High School at the UIL State Solo and Ensemble Contest, which will be held in Austin on June 2nd. Those students are Angel Almanza, Frankie Barraza, Brady Campbell, Alan Cardenas, Daniel Chandler, Madison Cummings, Caden Davis, Katherine Davis, Marc Diaz, Paris Esquivel, Isaac Ezell, Taylor Hall, Dawson Hataway, Michelle Hull, Kaleb Hughes, Will Kuehler, Jayden Lasley, Landen Lasley, Angel Lay, Madison Line, Israel Lujan, Hunter Mays, Froilan Mendez, Axel Nelson, Lars Nelson, Caitlyn Nguyen, Maya Ogans, Alex Onsurez, Eveline Pimentel, Efrain Rangel, Shayden Rangel, Kassandra Saucedo, Daniela Soldevila, Mahala Stembridge, Blake Trevino, William Wallace and Julian Word. Good luck to the students advancing to State, and congratulations to all the students that participated in Solo & Ensemble. You represented yourselves and Borger High School well! Borger Bands are under the direction of Kevin Kuehler and Nick Mears.